Hypocrisy is not beyond me, in the same breath I (charmingly) scold a friend for her fast fashion buys, I will sip a beverage whose ingredient origins I do not know ... while at the same time puffing on my weekly cigarette (Gwyneth Paltrow does it too), the filter of which takes longer than a Starbucks coffee cup to decompose. Despite my passionate discussions with fellow French or expatriated comrades on the subject of our planet and our responsibility to it, it hadn't really crossed my mind to consider the impact the delicious beverages I so gracefully guzzle might have on the very planet I claim to defend. That was until Alden, a member of the Ethical Writer's Coalition of which I am (honoured to be) a part of, posted this thoughtful list on her gorgeous blog, Eco Cult (which I suggest your thoroughly and regularly stalk). I’ve put four out of six of her suggestions in this post. Head to Eco Cult to read the rest. ONE. Read the label. JK! There isn’t one. Right off the bat you run up against a wall if you decide to drink healthfully. Normally, you can look at the ingredients in any packaged beverage. Not when it’s alcoholic. The reasoning is that a different governing body decides labeling for most alcoholic drinks than for food. (It’s complicated.) So your beer will say where it’s canned, and that alcohol can impair your judgment and motor skills. But it won’t tell you what’s actually in there. On the upside, the Tax and Trade Bureau strictly regulates ingredients that go into alcohol and must approve formulations that have ingredients other than the basics. Whether you trust the TBB’s judgment is up to you. And beers that use “natural flavors” have to be labeled as such. Which is helpful when you’re considering whether to buy that summary, blueberry-flavored beer. This article debunking a Food Babe post on “shocking” beer ingredients is an interesting read. Read with a grain of salt – while the craft brewers seem forthright and passionate about making good beer, they also defend a couple of ingredients on grounds I don’t necessarily agree with. (You also cannot trust Food Babe. She gives sustainability advocates a bad name.) But it has a lot of information that a critical sustainable reader can pull out to make decisions. For example, if you don’t want food coloring in your beer, avoid large breweries. Some breweries (including craft ones) add corn syrup and other sweeteners to lighten the taste of the beer – as they’ve been doing for over 100 years – but that is eaten up in the fermentation process, so you’re not drinking it in the final product. All in all, because alcohol doesn’t have an ingredient list, you should only buy from brands you trust - or brands who are transparent about their production process and ingredients. Plenty of those exist. Read on. TWO. Try organic liquor, beer, and wine. 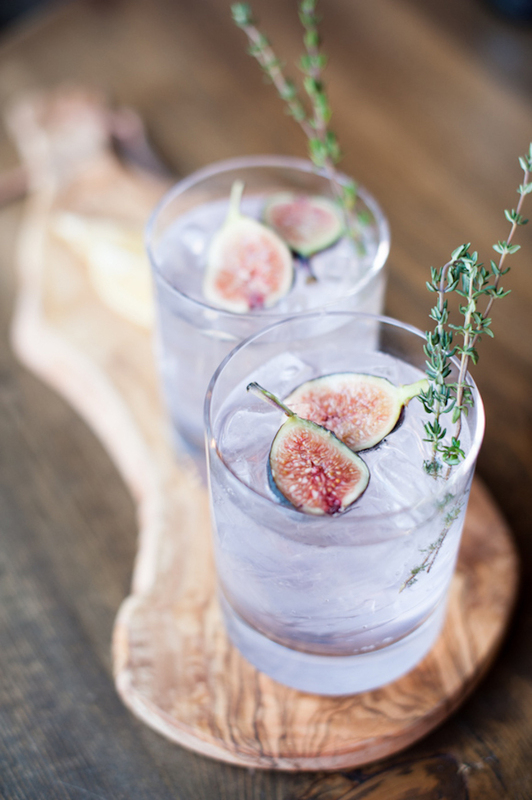 At high-end bars, you’ll find several organic liquors on the shelves, including Crop Vodka, Prairie Vodka and Gin, Square One Vodka, and Tequila Alquemia. Not only are you doing the environment a solid by drinking alcohol with ingredients grown without pesticides and herbicides, the brewing process for these liquors doesn’t contain certain chemicals, which means you might have a lighter hangover the next day. You can also find Peak Organic beer on the menu at many restaurants. They’re happy to share the local farms and producers they get their ingredients from. And many wine stores and restaurants carry organic wines, too. Just ask! We live in a great time for well-crafted cocktails, at least in New York. Almost all nice bars now feature drinks with real juices, muddled fruits, and high-quality bitters. 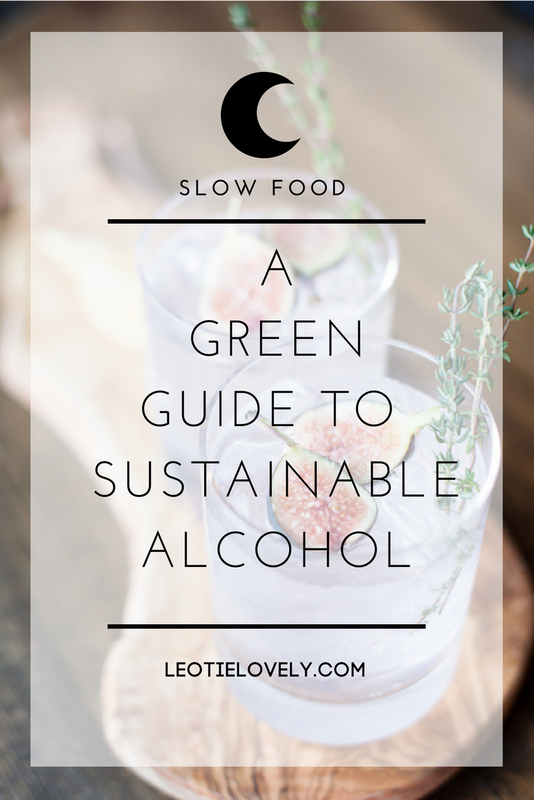 Consider it “slow drinks,” instead of Slow Food. (Speaking of, Slow Food also puts of events promoting locally made liquors and beers.) Apotheke in Chinatown makes cocktails that are borderline medicinal. I tend to go for the nice bars – I’m not much of a sports bar girl. But if you’re in a low-end bar, well, you’re going to have to try a little harder. Order a cranberry vodka at a low-end bar, and you’re getting sugary cranberry cocktail with your vodka. A good bar will make a whiskey sour with lemon juice and simple syrup, but a low-end bar will use a cheap sour mix. If you find yourself in a cheap bar and want liquor, simpler is better: get a vodka soda. If you’re mixing at home, you have all the choice in the world. Pick up Q Drinks mixers from the natural grocery store, organic juices, or artisanal sodas. I use organic Urban Moonshine bitters, but you can also get bitters made locally in Brooklyn. The shorter the distance glass is shipped, the lower the carbon footprint! In New York, I can pick up locally-made wine and liquor from the Union Square Farmer’s Market. And many upscale liquor stores carry locally-distilled spirits, like King County bourbon, Breuckelen gin and whiskey, Hudson Whiskey, Industry City vodka, and Greenhook gin. It’s even easier to find locally made wines. Most wine stores in NYC carry Long Island wines or wines from the Fingerlakes. Craft breweries for beer are in abundance, of course, no matter where you live. In New York, we have Brooklyn Brewery, Sixpoint, Bronx, and several others. Whenever I visit a new place, I ask them to recommend a local craft beer to try. It’s a fun way to get a taste (pun intended) of the local scene.